Park is open from 8 a.m.-7 p.m. from Memorial Day through Labor Day, and 8 a.m.-4:30 p.m. thereafter. Historic buildings are open daily from 9 a.m.-4 p.m.
Sunday, April 28 from 1-4 p.m.
Eleven-year-old Elizabeth Waln Wistar, granddaughter of Richard and Elizabeth Waln of Walnford, created a beautifully executed cross stitch sampler in 1799. Now in a private collection, it has been meticulously recreated for us by award winning needle worker Elizabeth Dey. This afternoon she will explain what makes this sampler special, how she charted, then stitched this historical recreation and show how you can chart and stitch a sampler. FREE! Picturesque after a snowfall, full of fascinating history throughout the year, any day is a great time to visit this wonderful historic site and learn more about the Waln family and the evolution of Walnford over two centuries - from an 18th century industrial village and family farm to an elegant country estate. At the heart of the Crosswicks Creek Park, the site showcases over 200 years of social, technological and environmental history through the Waln family. 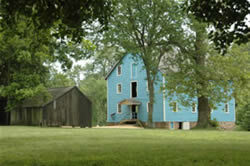 The historic district includes 36 acres of field, woodland and wetlands. 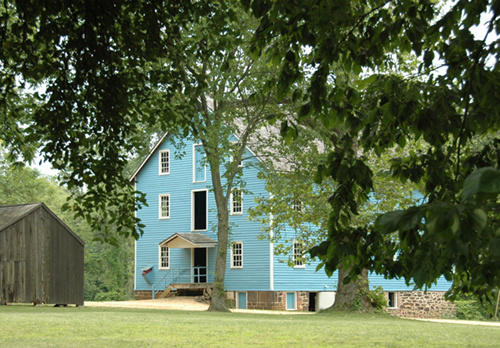 Visit the large, elegant home built in 1774, the 19th century gristmill and the farm buildings set in a beautiful landscape. The site is open 8 a.m.-4:30 p.m. daily. NOTE: For those who are unable to negotiate the front steps into the Waln House, accessibility is provided by use of the out kitchen ramp located in the rear of the house. 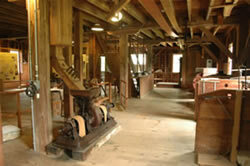 knowledgeable staff on weekends April-November from 1-4 p.m. as they describe the workings of the mill. All ages are welcome, under 14 with adult. Call 609-259-6275 for more information regarding drop-in programs and reserved group tours. 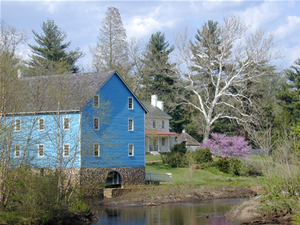 This historic district features an 19th century grist mill, the elegant Waln family home (1773), a carriage house, and an assortment of outbuildings. 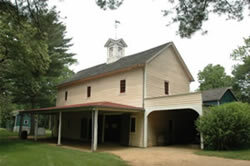 Offerings include a guided site tour of the grounds, learning about the mill, a tour of the wetlands, short hands-on craft experiences, and an introduction to Historic Walnford in your classroom or meeting place. Call 609-259-6275 for more information. Professional portrait photography sessions are subject to fees and require a permit. Photography shall be permitted during normal hours of operation. Please call our Reservations Office at 732-842-4000, ext. 1 for details. 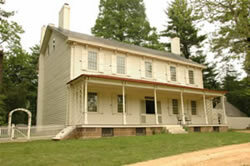 Walnford's buildings and landscape features represent every era of the site's 250 year history. These photos are provided to encourage your personal visit. Click on image to make larger. Eleven-year-old Elizabeth Waln Wistar, granddaughter of Richard and Elizabeth Waln of Walnford, created a beautifully executed cross stitch sampler in 1799. Now in a private collection, it has been meticulously recreated for us by award winning needle worker Elizabeth Dey. This afternoon she will explain what makes this sampler special, how she charted, then stitched this historical recreation and show how you can chart and stitch a sampler. Saturday & Sunday, May 4 & 5 from 1-4 p.m. Experience life in the 19th century: beat a rug, scrub laundry with a washboard, dust with feathers and sweep, sweep, sweep away the dirt! If you ever thought these were the good old days, think again! Gain a new appreciation for all the labor-saving devices we can choose to employ and more respect for the energy of our ancestors as you engage in these and more (happily) forgotten household chores. Sunday, May 19 from 11 a.m.-5 p.m.
Got an ITCH to try something different? We may have the experience you’re looking for: Ingenuity, Technology, Culture and History come together in one great event. See demonstrations and displays of historical crafts, trades, music, art, that illustrate the impressive ingenuity of our ancestors and 18th and 19th century cutting edge technology. Add in hands-on activities including a ride in a horse drawn wagon, writing with a quill pen and exploring four floors of grand architecture - this is entertaining, educational, FREE family FUN for you to experience. Saturday, June 8 from 10 a.m.-2 p.m. The Horseless Carriage comes to Walnford with these shining examples of pre-WWII automobiles displayed across our shady lawn. 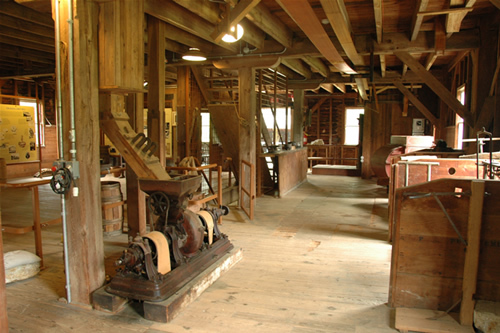 Stroll the grounds, tour the house, see the grist mill in operation and imagine when life in the fast lane never hit 50 mph. 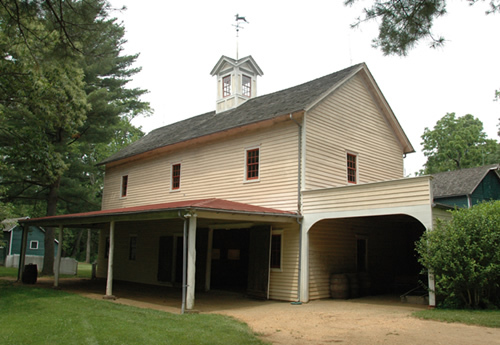 Sunday, June 23 from 1-4 p.m.
Sip a tasty brew and identify some of the many ingredients used in what was originally considered a healthful tonic as you learn the fascinating history of this 19th c. soft drink and its connection to the Waln family. 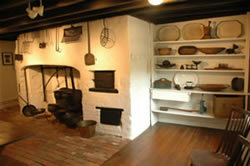 We present fun for all ages with historical facts in a beautiful landscape for you to enjoy. Sunday, July 14 from 1-4 p.m. Comfortable and decorative, caned seats were a popular feature of many 19th century chairs. We will provide a “show and tell” afternoon to enhance your visit to Historic Walnford with a variety of historic chairs on display and the opportunity to “sit a spell” on the front porch while the almost forgotten craft of cane chair seats is demonstrated. Sunday, August 4 at 3 p.m. 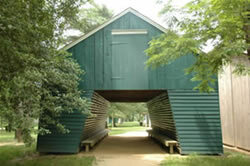 There is no better time to enjoy this cool creamy treat than a summer afternoon in the shade of the ice house at Historic Walnford. Help us crank and then consume batches of ice cream made from historical recipes using 19th century technology. Sunday & Monday, September 1 & 2 from 1-4 p.m. 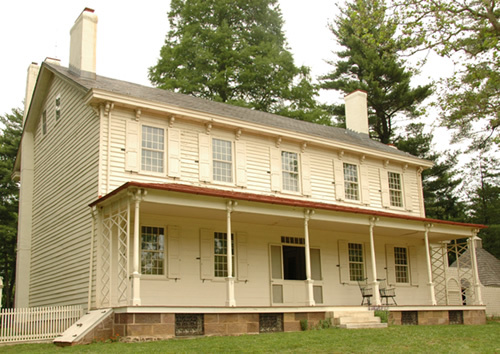 It is a tradition at Historic Walnford to honor the shift from summer leisure to back to school schedules with a weekend and holiday afternoon packed with historical fun and games. Trap Ball, corn cob darts, ring toss, spinning tops, riddles, checkers, pick up sticks ... the list of activities to delight and challenge the whole family goes on and on. Please note: If you choose do an internet search for directions to this address, be aware that the parking lot on site is not accessible from the Walnford Rd/Hill Rd intersection. From the East Via I-195: Take Exit 11 (Imlaystown/Cox's Corner) and turn left onto Rt.43 (Imlaystown/Hightstown Rd). At the first intersection, turn right onto Rt. 526/Red Valley Rd. At the first light, turn left onto Sharon Station Rd and follow approximately 2 miles. Turn right onto Rt. 539 North. Travel a short distance and turn left onto Holmes Mills Rd. Make first right onto Walnford Road which leads directly into the park. From the West: Follow I-195 to Exit 8 (Allentown), Rt. 524/539. Turn right and follow Rt. 539 through Allentown. Turn right onto Holmes Mills Rd and then right onto Walnford Rd, which leads directly into the park. From the North: Take Rt. 9, 79, or 34S to 537W to Rt. 539 in Upper Freehold. Turn right onto Rt. 539 (Forked River Rd), then left onto Burlington Path Rd. Turn right onto Holmes Mills Rd and then left onto Walnford Rd, which leads directly into the park.